Today’s guest writer, Canadian Brother Mark Kapitan, comes to us by way of Canadian Brother Wayne Anderson’s weekly Masonic newsletter. Anderson publishes a new or old-from-the-Masters article each week and forwards it to everybody on his list. Topics cover a wide variety of issues and interests but they are always Masonic. If you would like to get on Brother Anderson’s list simply E-Mail him at wda_572@sympatico.ca . Word to the wise, the newsletter is dark for the summer, except for this recent very special edition. The big question is could you, if asked, explain how Freemasonry makes good men better? Or does it? That’s what Kapitan, a relatively new Freemason, wants to find out. And his quest has culminated in a fascinating paper he presented just this week. A Young Mason’s journey to find, the making of a good man, better. by Brother Mark Kapitan, F.C.F. Ivy Lodge No. 115 A.F. & A.M. G.R.C. The journey starts for many of us, with the initial contact of someone who will probably be our sponsor. 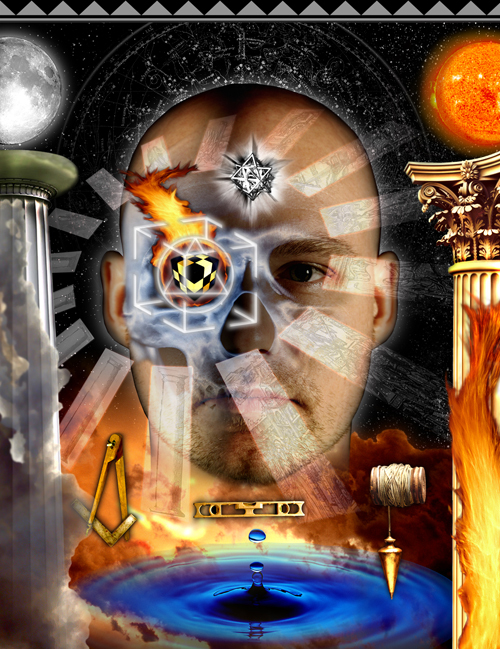 We sit down with a person, whom we have never met before, or may not know very well, and ask questions in order to decide whether a Masonic journey is for us. This is probably one of the most important decisions many of us have to make at this time, do I join, or not, remembering that our choice will be based on an enormous amount, of limited information. I recall sitting with my sponsor for three hours, who, during this time, did a very good job of answering all my questions, and quite frankly, telling me absolutely nothing. But, the one comment he did make that tweaked my interest, was that “Freemasonry takes a good man and makes him better”. Personally, I know as men, we have no problem re-assuring ourselves, that yes, “I” am a good man, however, as many of us can attest, it is not uncommon for our better halves to remind us, there is always room for improvement. Upon hearing this oh so wise reminder in my head, it became one of my reasons, to fill out an application, and join Freemasonry. After a successful Examination, a report is given and we are balloted on. A letter follows from the Lodge, and if positive, your date of Initiation is chosen. You now ask.. What will be next? Well, the journey continues with the big night, nerves are on high alert, and one questions oneself, “what am I doing here”? Everyone is so friendly, smiling at you, shaking your hand, one could assume the best, or the worst, is about to happen. It is at this time; at least it was for me, that the nerves got a kick in the stomach. One of those new friendly faces informs me that I am going to have to change out of this nice suit I have on, and into an interesting pair, of what is best described, as pyjamas, and even further, that I will be blind folded for a short period of time. As the meeting starts and you are not yet part of it… I am sure some of us have wondered if it would not be wise to change our minds, and leave. After all, I was sure I could get down the stairs and out the door, before the Tyler, who distracted with returning his knocks, could have gotten to his sword. Finally, some of the Brethren come out, one asks some questions, making references to an ancient penalty, which you are not to worry about of course, and this again sends the mind off wondering, what have I gotten myself into? Then that point of no return occurs, you pay the requested monies, and another Brother, with what appears to be a spear, is there to make sure you are properly prepared. It’s now time! You are walked around a room blindfolded, listening to every word, from all directions, trying to remember, how many did I see come in, are they behind me, in front of me, what’s happening, what will be next? Your head is bursting with so many questions. You repeat something, seal it, and then, the Blind fold is off. You are moved here and there; different Brethren are coming up to you and overwhelming you with parts of the ritual. Finally, at last, it’s done. The Master comes down to the level, congratulates you, which is followed by a round of applause from all those in attendance, and then asks the big question, “Do you have anything you would like to say?” Wow, what a question! Let’s see, I’ve come here dressed up in a suit, paid you 3-4 hundred dollars, was paraded around, dressed in pyjamas no less, initially blind folded, in front of 20+ men I have never met before, been over whelmed with some of these strangers speaking to me individually, have been asked to change back to my suit, only to come back in and be overwhelmed again, the whole time not understanding half of what is said to me, and YOU are wondering if I would have anything to say? Of course I do, what just happened? And, ultimately, how will this make me, a better man? 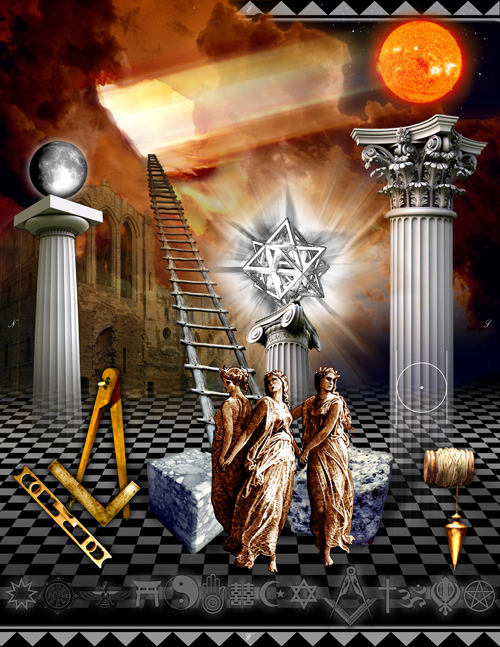 Many of us continue on our journey to be Passed and Raised to the degree of a Master Mason, proving each of our degrees in front of the members of our lodge, or depending on the evening, perhaps a few more than normal. I have often made this statement with regards to the Degrees: The First, is the one that just happens. I feel that this is the Degree that binds us as Brethren, for here, we all experience the same thing, with pretty much the same results, nervousness and confusion. The Second, is the one you do for yourself, we practice and learn, wanting to do it well; and finally, the Third, this is the one we will never forget. After this point, when one has been raised, it might be difficult for the Mason to see, just how does Masonry, take me, a good man, and make me, better? And it is here that I began my quest for an answer. From what I thought I could see, my memory was improving through practicing of the Ritual for my degrees, was I on my way to becoming a better man? I was quickly reminded by my lady who was still asking me “did I forget” … it was garbage day, or, that we were going to her mother’s tonight. Improved memory??? I guess she would tell you, I was still suffering from that well known man’s disease called, selective hearing Or listening. After proving our third, some of us believe we are ready to assume the role of an Officer and most actually do, to the delight of the many recycled Past Masters, however, for many of us, it is difficult to get up and speak in front of others, myself included. I presumed the proving of degrees, would help prepare for the journey through the chairs, allowing us the opportunity to somewhat feel comfortable, speaking in front of others, at least in our own Lodge. Interests are peaked during this time, yet I feel often, are not tapped. For many of us, we want to be more involved, but being new, don’t know how to, are afraid to ask, are simply just assigned ritual, or, may have been deterred with that famous phrase, “Because that’s the way it’s always been”. Looking at my own Masonic journey thus far, you can imagine that I have heard those words on more than just a few occasions. Another of my favourite phrases is, “wait until you have sat in the East”….. I see! It would be preferred that we Rock the boat when we are all a little older, and a lot less stable on our feet. In all fairness though, these two statements are both very viable comments to many. The first shows that we, as a fraternity, have stayed true in the longevity of our institution, and the second would reference obviously, experience and education. Is this how a good man is made better, longevity, experience and education? I was hoping this wasn’t the full answer, as some things are in fact being done differently and are not the way they were. To start with, many older Brethren have often told me that when they joined the Craft, one would have to wait possibly several years just to get in the Junior Steward’s chair. This would mean that many men would have been 10 plus years a Mason, before they became the Master of the Lodge. During these times, although some Lodges were doing plenty of Degrees, many still found the time to do some form of Masonic Education, and turn outs were good. The time spent waiting to get in the officer line up, combined with the journey itself of ten plus years, would provide one the experience and education needed to make the second statement true, “Wait till you have sat in the East”. One could also add that with reference of the charge “to make a daily advancement in Masonic Knowledge”, many of the older Brethren, in fact, did. This charge, was it put forth to encourage oneself to go out, find it, to take the initiative, seek knowledge through education, and then, put it in place? We all know this is not always an easy task, as for many of us; we need to see what is missing, in order to desire it, or know it is in fact missing. Was this charge to encourage one to find what makes a good man, better? In today’s time of hustle and bustle, we find in many Lodges there are few new members joining, or there is a lack of attendance, which is forcing many Past Masters to do the officer line up, in various rolls, several times. In order to resolve the pressure on the PM’s, we find many Masters are being made in a considerably shorter time, in many instances; it is 5 years or less. Leaving us with these questions: are these Brethren good with the ritual? Are they good men? Are they good examples of Masons worthy to project a public image of the Craft? Of course they are! However, do they have many years of Experience in the Craft? Are they Masonically Educated? Familiar with the Protocol and Etiquette expected through experience and practice? Would sitting in the East, be a sign of Experience and Education, as it once was, in only 5 short years? These last few questions prompt me to ask, did this become the “fast track” to making a good man, better? And, do they, as the older masons did, make that daily advancement in Masonic Knowledge? The Answer to the last question I feel is best summed up, this way; when I look at this call to make a daily advancement in Masonic Knowledge, which as stated was done by dedicated older Brethren, in their time, I find in our era, we profess a desire to, but, find it easier to provide an excuse not to, which usually involves, “having no time”. These days, I look at this act of making a daily advancement and compare to something as simple as eating. Some of us use a knife and fork, yet others, like me, should use a shovel. Some chew and enjoy every bite and others couldn’t tell you how what they ate, tasted like 20 minutes later. Many eat healthy, and others, junk they shouldn’t. But the most honest reference I can use to compare this daily advancement, to eating, is in this hustle and bustle of the busy lives we lead presently, one must surely admit that it is not uncommon to skip a meal, even though, we know that it is not healthy, or good for us. Unfortunately, it is easier, after a few times, to develop a bad habit rather than the “better” one. This question, “how does Masonry make a good man better”, I have asked of many. It often made me feel like a youngster asking his parents, where do babies come from? I am sure in the time Freemasonry has been around, and from many different geographical areas; someone must have answered this question. But why was it so allusive to me. Am I looking in the wrong places, asking the wrong men? Truthfully, many I have asked could offer me no more than, it just does. For them, being good men, who have been in the Craft for many years, well, maybe it just did. Others, suggested it could be found in education. What Education? The Mechanics, the History, the Ritual, Operations, Protocol and Etiquette, is it any one of these, all on them, or is there something more? After being Raised, I enrolled in the Masonic Arts and Sciences Course or as it was originally called the Master Masons Course. This course offered me the education in many of the areas I have just mentioned. It is a correspondence course that has been available since 1984, yet many of the Brethren, young and old, have never heard of it, or know very little about it. At present there are only 259 grads since its inception. Did I find the answer to my question in education? Am I a better man? Nope! Just a Mason with a little more education than I started with, and the privilege of adding the initials of FCF, A Fellow of the College of Freemasonry, to my Masonic Signings. The completion of this course has offered me many different opportunities and experiences, for upon being a Grad I was invited to an Alumni group, where education, is ongoing. We have a forum for questions and debates by many experienced and well educated Brethren. Could I possibly ask my question here? What I was finding, was some very interesting educated views from scholarly Masons, providing discussions and debates far superior to my knowledge, about various topics that I was interested in, the protocol and etiquette, Ritual, and History. Yet, as a member, and a very young Mason, I could not find the nerve to ask my quested question, but hoped I could find the secret by searching in the Q & A’s of the alumni forum history. No such luck! My patience, or lack of nerve, was rewarded a few months later, and you can imagine my excitement when I received an email, with this exact question from the Alumni, The Making of good men better, What does this actually mean and how do we do this? There it was. Honestly, I must have checked my email for replies every 10 minutes for that whole day. “These same questions come up time and time again on the various Masonic email forums. It is a phrase, thrown out there with little thought, or meaning. I consider Freemasonry, to be the biggest and oldest self help group in the world. The emphasis, is on “self”. For the most part, our society wants everything given to them. We will move mountains, if it means we don’t have to do any work. Thus, making men better is generally perceived as something Freemasonry “does” to men. It is, actually something Freemasonry makes available to men. Freemasonry holds it out, and then, the brother has to do some work in order for it to happen. Another trite phrase is, “you get out of it, what you put into it.” But it’s true. If you just sit on the bench, nothing much happens. You don’t become better, you don’t become any smarter, and you don’t become anything, other than older. Brethren frequently discuss the relevance of learning ritual. What’s the use of learning all that archaic language, and then saying it to someone? Psychologists say that speaking in public is more fearful to the average person than dying. Rather than give a eulogy, we’d prefer to be in the box. By learning ritual, we expand our capabilities for memorization. Something many of us, haven’t done since public school, if ever. By delivering ritual, we overcome our fear, and learn to public speak. This capability boosts our self worth, and self confidence. Consider each one of the officer chair duties. Each one of them teaches a skill of some sort; Keeping minutes, learning the lodge membership list, interacting with people we do not know, Meeting a new man, and, taking responsibility for showing him around, Setting goals, Organizing volunteers to accomplish a set goal. Each chair, has something of value. This is probably the most practical response, that I have seen or heard to the question I have been asking. Myself, believing that this is at least part of a possible solution, that Freemasonry offers us what we need, right here, in our Ritual, Protocol and etiquette, history, mechanics and very simply, in our operation of the Lodge. Then I have to ask this question, “If we do these very things offered in Freemasonry, “poorly”, will we get the same results”? It’s an interesting thought! Should we not take pride, in what, and when we do things? I believe the answer is, yes! So, how do we achieve this? Is it through Education? Again I would say, yes! Then one may ask, what education, who will teach it and who needs it? Going back to my eating theme for the answers, What Education, any number of things we eat, can provide us with nutrition and enjoyment, or, very simply, satisfy a hunger. Who will teach, well, some of us like to cook, and those that don’t, have probably been asked to take a turn cooking, at some point. Truthfully, our wives would tell us, it always tastes better when someone else is doing the cooking, and I believe some of the recycled Past Masters would feel the same way, with that reference. And, the who needs it, we all have the need to eat and most importantly, we all like to eat. It may be bold of me, a Mason of just over 2 years, to make the comment that we all could benefit from some form of education, but I will offer up this situation for my defence. This past December my Daughter turned 16. My Lady suggested that I should be the one to teach her how to drive, after all, I should have more patience, because “I was a Mason”. My surprised look prompted her to offer up in her defence, “making a good man better”. I couldn’t argue with that statement and, after several successful lessons teaching from my 30 plus years of experience, it was still recommended that we enroll her in Drivers Education. Firstly, for the Insurance breaks, but, in all honesty I must admit, that with Driving, I have been doing it for so long, some bad habits might have crept in, not to mention the changes in the laws over the years, that I may have missed learning. After a few short classes I started hearing things like, “do you know that was a rolling stop?” Or “You are speeding” at 5 km over the limit which most of us are guilty of. As a man, who is proud to be a Mason, I display Masonic emblems on all our vehicles, so truthfully, I do not mind being reminded by her, or, re-taught for lack of a better word, as it can only improve the way I drive and the way I project being a Mason in the public eye. When I wrote this paragraph, I couldn’t help but be reminded, that there are many circumstances where someone will view our behaviour, to evaluate what they will considered to be acceptable behaviour for themselves. I have stated, and it is a fact, Speaking in public is a very tough area for me. It is much easier when the ones you are speaking to, work for you. Knowing I couldn’t afford to hire all of you, I thought I would ask some fellow Brother for some constructive criticism of my, talk prior to me coming here. Those that have read or heard this, all seem to get something different from it but have encouraged me to change very little. Brother David Ross FCF did however offer me a thought of his that I wanted to share. Is Masonry working for me at this point in my journey? After my Initiation, I was posed with this question from my spouse, well, what is it about? I am sure many of you might have been asked something similar. How do I answer? In my infinite wisdom, I responded, it’s about morals; you know making a good man, better. A short time after me answering this question to her, I recall an incident, when driving on the HWY, and being cut off, I proceeded to voice, within our car of course, what I felt would be a good solution, to my dissatisfaction. My better half enjoyed offering her opinion to my comments, “well that isn’t very Masonic”. Truthfully, I would have to admit; in the beginning, after joining the Craft, I did hear that comment on a numerous occasions. As I tend to hear it a lot less now, I would like to believe that Freemasonry, is offering me the results through my activeness; as opposed to the alternative, she just got tired of saying it. But, honestly, I believe she simply found a new way to say it. Instead, she now offers “making a good man better”. I haven’t asked her yet, but her comment of making a good man better would imply that maybe I’m not the only one in our house that believes I am a good man. In closing, from the view offered by our fellow brother Terry Spalding-Martin FCF, I must say, for me, my feelings are, he does have the answer to my question, and has simply, laid out the short version. Freemasonry offers what is required, and our own action is the key to success. In hind sight, every bit of our involvement has offered us the opportunity to work toward this; starting with our coming forward of our own free will and accord, asking questions of our sponsor, filling out an application, our roles in the Initiation, the degrees, our proving, visiting, all our participation, what we do while we are here, the desire to do it well but most importantly, learning and the acquisition of knowledge. I did however find two additional points not fully spelled out in his reply that seemed to be obvious. First, no time line was offered to achieve the goal, so, it must be an ongoing, continuous journey, and one should strive to stay involved, even if it is just in the form of making the effort to attend our regular Lodge meetings. Secondly, it seems much of it often involves us doing it together, as brothers, supporting one another, and working together for our common goal. If all of these things are true, and I believe they are, I must thank you Brethren, for assisting me, with my own continuing journey, by making a good man better. Initiated into Freemasonry May 4th 2010 at Ivy Lodge No. 115 A.F. & A.M. G.R.C. which is located in Niagara District A, and was Raised on December 7th 2010. Proved his Third Degree February 1st 2011 and immediately enrolled in the Masonic Arts and Sciences offered by the College of Freemasonry that day. Became a graduated of this course 9 weeks later on April 2nd 2011. Joined the Royal Arch Masons on April 8th 2011 and completed the RAM Degree on June 10th 2011. Was a part of the District Degree Team’s Annual Degree on July 9th 2011 and will be again this year on July 14th . In July 2011, enrolled in the District Deputy Grand Master Course and became a graduate 3 weeks later. Enrolled in the original, and at the time new, Worshipful Masters Course in September of 2011, graduating from this course a week later. September 2011, became a mentor of the College of Freemasonry. December 3rd 2011, spoke at the St. Thomas District’s Lodge of Instruction about the College of Freemasonry and the Courses offered. January 3rd 2012, was invested as the Senior Deacon of Ivy Lodge No. 115 A.F. & A.M. G.R.C. and was enrolled as Senior Sojourner in Chapter January 13th 2012. Has attended a couple of business meetings for the Grand Lodge, Committee of Masonic Education and assisted in the restructure of the new modular system. Way to go Mark Kapitan! Your talk was well written, and speaking from past experience, you were well spoken as well. It’s good to see you are spreading your wings on the speaking circuit. Thanks for all your help on the College of Freemasonry Courses. See you at Grand Lodge Brother! I would like to take the Masonic Arts and Sciences Course. Any information would be greatly appreciated. 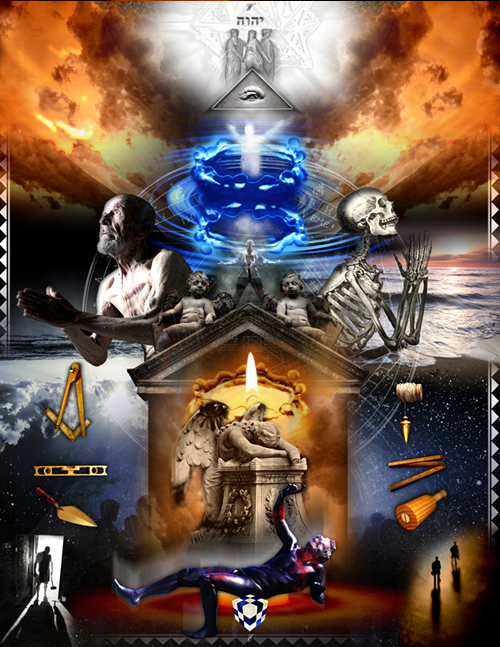 I would like to learn more about the Masonic Arts and Sciences course as I am very interested in doing the course especially if it can be done through correspondence.I would greatly appreciate any information. Anyone interested in the Masonic Arts & Sciences Course, Worshipful Master Course, or the PM Course (Formerly the DDGM course) please contact me at the College of Freemasonry and request information. The address is masonic.college@gmail.com . Let me clarify, the courses offered by the College of Freemasonry are currently only offered to members of the Grand Lodge of Canada, in the Province of Ontario. Well done mark. a very good paper. I came across it by asking my computer the same question.